The usual recipe for a Gin And Sin cocktail doesn’t call for the grenadine to be dropped down the middle for a sunrise effect, but that’s how I make it. It’ll taste the same however you do it, but I just think this one is so gorgeous with that red glow. And the taste is a nice combination of orange, lemon, berry and some sharpish herbal notes from the gin. It’s an easy flavor to love, even if you aren’t a big fan of gin. Fill a shaker halfway with ice cubes and pour in all ingredients except the grenadine. Shake until chilled and strain into a cocktail glass. 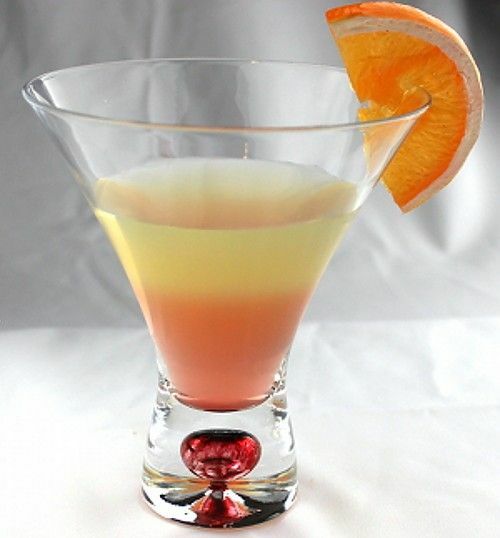 Add the grenadine straight down the middle for a sunrise effect. Garnish with an orange wedge.